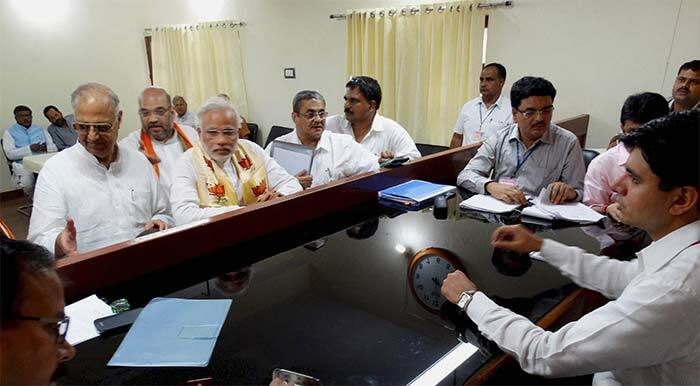 There was a mega build-up for BJP's Prime Ministerial candidate Narendra Modi's filing of nominations in Varanasi. The ancient temple town is one of the key constituencies of this year's elections as Modi takes on Arvind Kejriwal of AAP and Ajay Rai of Congress. 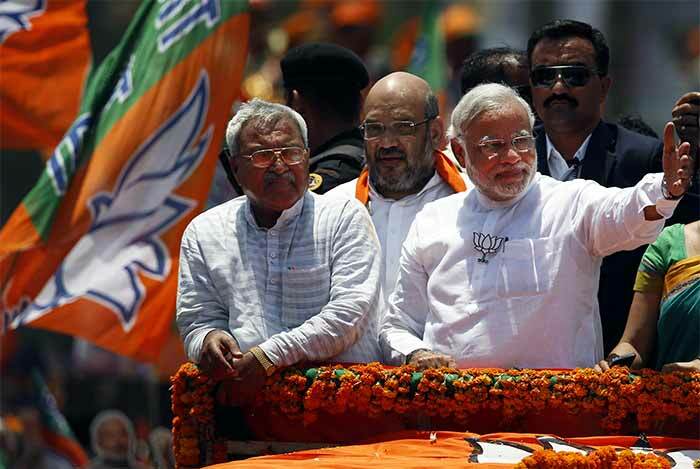 BJP's Prime Ministerial candidate Narendra Modi files his nominations amidst great fanfare and crowd frenzy in Varanasi. 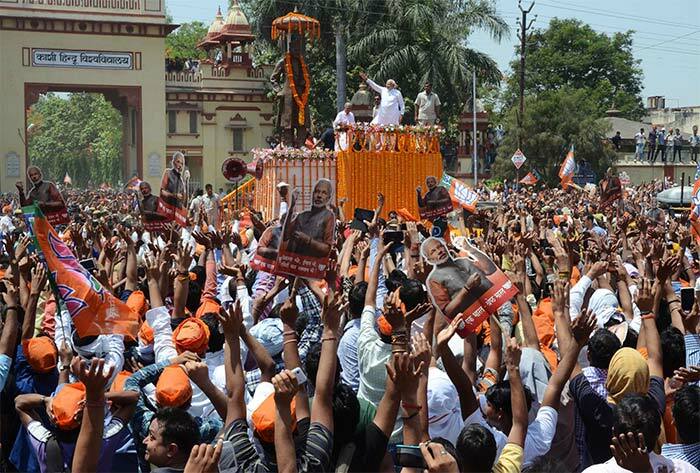 Varanasi saw a huge build-up to Narendra Modi's arrival to file his nominations. 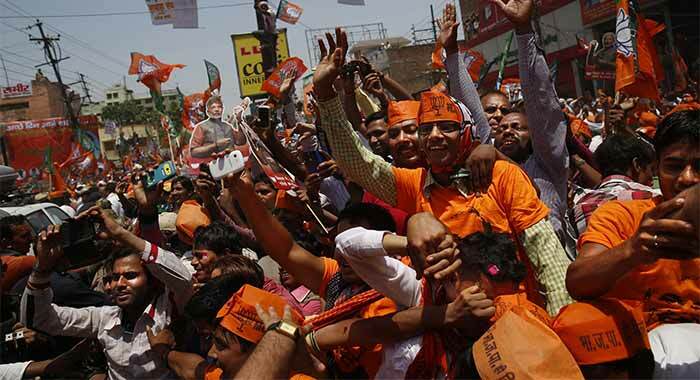 BJP workers poured out on the streets of the ancient temple town to welcome the party's prime ministerial candidate. 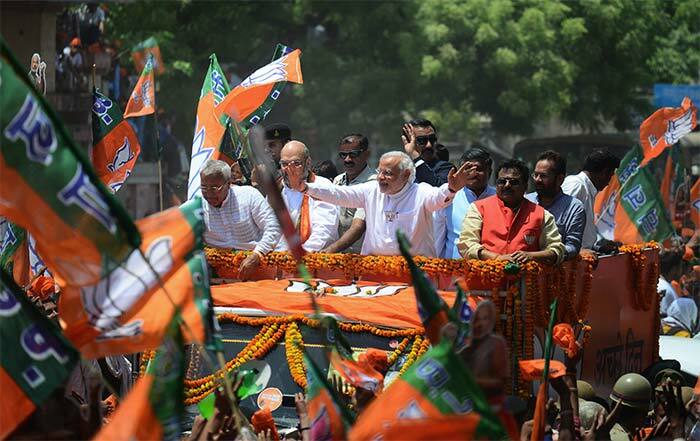 BJP's Prime Ministerial candidate Narendra Modi greets supporters, as he arrives to file his nominations from Varanasi. The constituency goes to polls on May 12. The BJP leader will make multiple stops on the way to interact with people and in at least three places will garland statues. 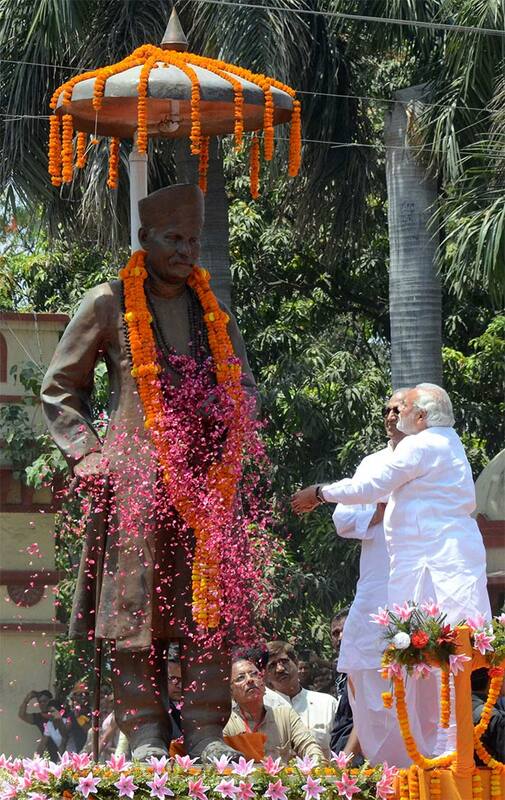 At Benaras Hindu University he showers rose petals on the statue of its founder, Madan Mohan Malviya. 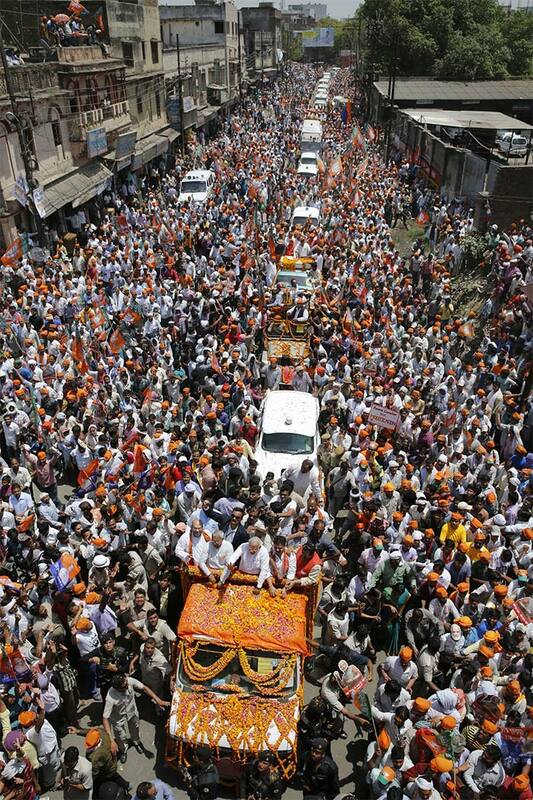 Thousands of BJP workers paint the town saffron for Narendra Modi's road show in Varanasi. Narendra Modi waves to the supporters as he makes his way through the Collectorate, to file his nominations. There are people everywhere on the streets, terraces and trees creating a carnival-like atmosphere in Varanasi. 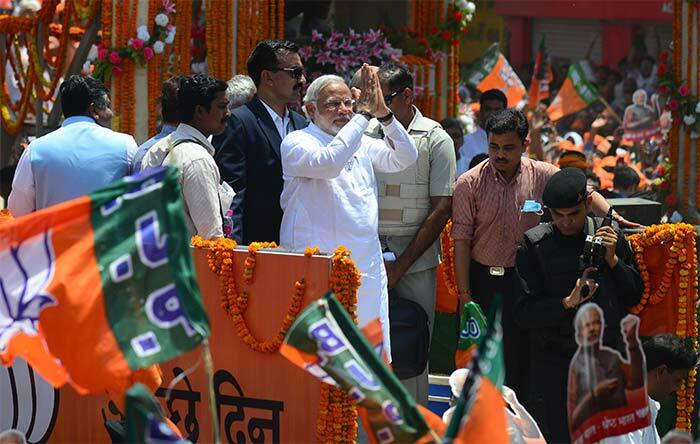 Narendra Modi greets supporters as he moves on a vehicle to submit his nomination papers in Varanasi.